We are definitely not used to the idea of hurricanes up here in the northern states. I live on the East Coast in NY and we are being faced with a very serious situation. Hurricane Irene is on its way and me being a Type A personality, I want to be as prepared as possible. I have seen some great tips on the news for preparing your home for a hurricane, especially if you are on the coast – things like boarding up windows and securing the roof, etc. But for those of us inland who may not get hit as hard, we still need to be prepared for the high winds and possible power outages. I have a list of things that I am doing to prepare and I also want to share some things that my Aunt Donna suggested on Facebook this morning. She is a Floridian and has a lot of hurricane experience. So, if you are being faced with the possibility of a hurricane hitting your area, here are some great tips that can help you be more prepared. Fill up the Bathtub – if you lose power, you may also lose water and without water, you cannot shower or flush the toilet. So fill your bathtub with water and keep a bucket handy for the toilet and you can also use the tub water to wash.
Make Lots of Ice – If you know that a storm is coming, use your ice trays to make ice and put in large zip lock bags and save in the freezer. I also suggest filling up a couple coolers with ice that you buy from the store. Stock up on Batteries – flashlights and other things need batteries. Have Candles on hand – I prefer to use unscented, but having kids you may want to go with the flameless candles which make great nightlights at night when their is no power. Be prepared with Food – canned foods are a must. Some great ideas are fruit, tuna-fish, beans, vegetables, soup, etc. Take a Shower – shower right before the hurricane hits because you may not get a shower for a while if the power and water goes out. Fill up your Gas Tank – be sure to fill your tanks with gas before the storm hits. When the power goes out, so do the gas pumps. Fill Prescriptions – Make sure you are up to date with all of your prescriptions and if something needs to be kept refrigerated, keep a small cooler bag handy. Brew Coffee in Advance – you can then have your daily dose of caffeine even if it is “iced” coffee. Put away Outdoor Furniture – this goes for toys too and anything else that might get blown away in high winds. And now that the storm is headed my way, I will definitely be doing all of the above. 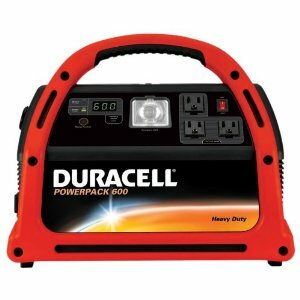 One thing that really comes in handy is having a generator or a portable power pack. I have this one which has a couple outlets and can be charged in the car. I am a big fan of having a fan running when I sleep, so this was a must for me. One day I would love to have a generator, but for now this does the trick. 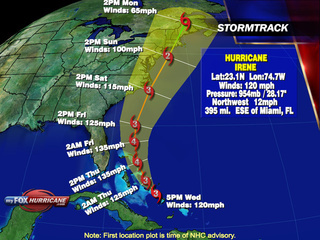 And for those of you with me on the East Coast, I am praying for safety for you and your families. Would be wonderful if it wound up lessening to just a tropical storm. But even so, it is better to be overly prepared than to not be prepared at all. And don’t forget to check in on your elderly friends and neighbors to make sure they are ok. You may even consider taking them home with you to ensure their safety.